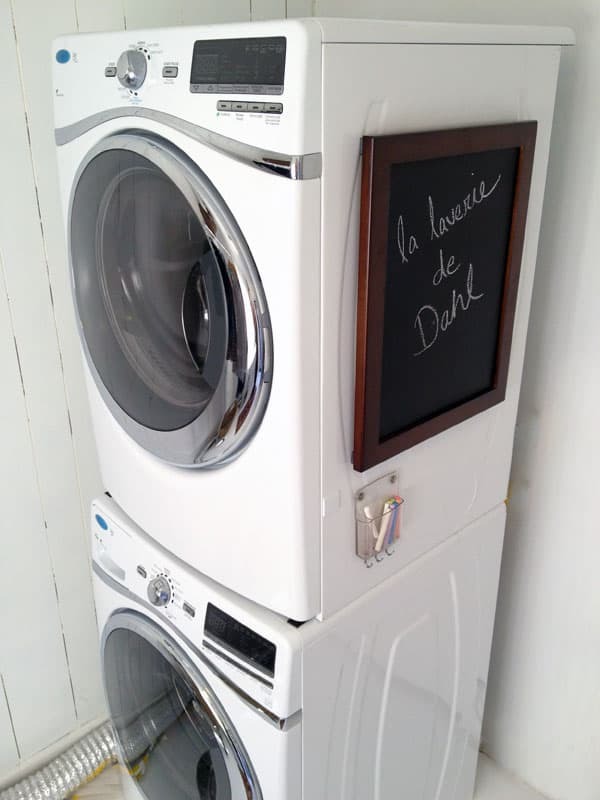 We needed a simple message board for our new laundry room but we couldn’t find exactly what we needed so we decided to make our own chalkboard and it was surprisingly easy. 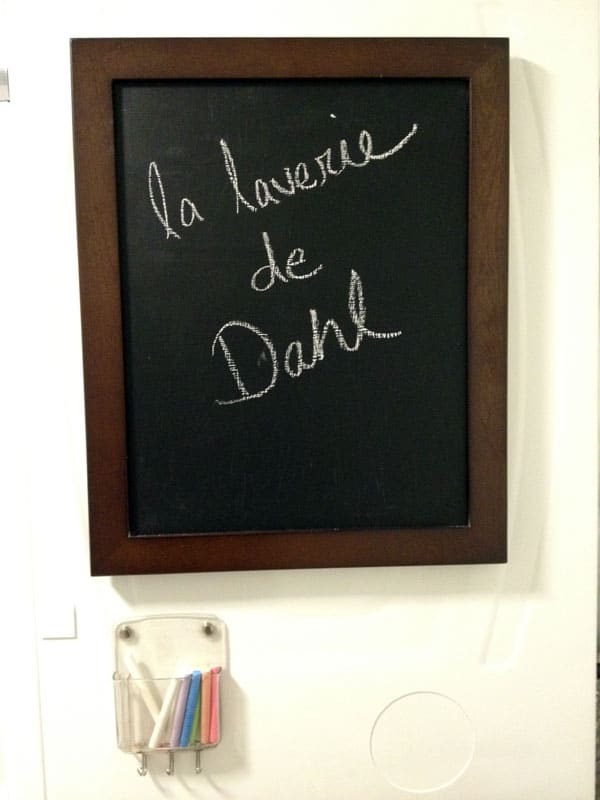 Valspar makes a chalkboard paint that you can apply to virtually any smooth surface to make a chalkboard. We wanted this to look sharp and Laura had the brilliant idea to take a picture frame and remove the glass and use the backing as the chalkboard. After a quick run to Lowe’s for the chalkboard paint and magnets and finding a picture frame from Target, we had everything we needed to make this chalkboard. 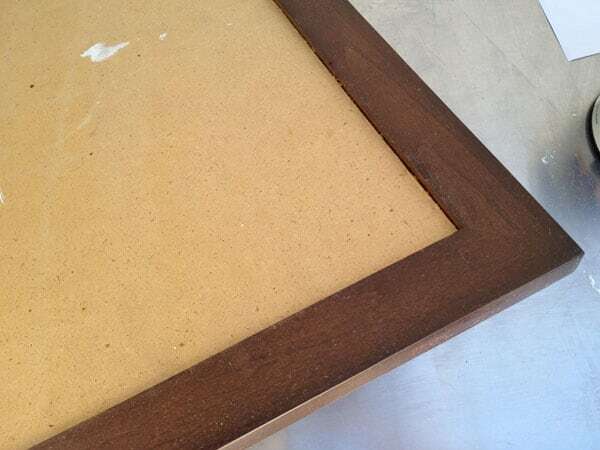 We had to make one change as the back of the picture frame was too rough so I found a slim piece of MDF that I had in our shop and used that for the backing. You could even use solid cardboard if you needed too but the MDF had a nice smooth surface and felt solid. 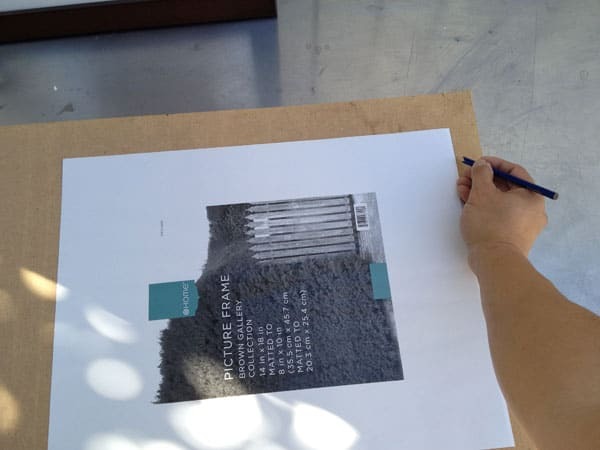 After we gathered all of our materials I used the paper insert that typically comes with picture frames and traced the size I would need to cut the MDF board. 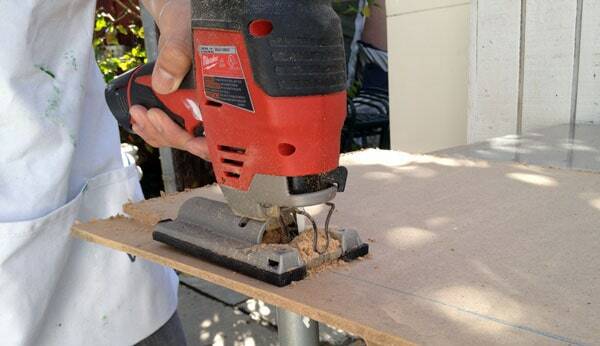 After getting the right size I used my jigsaw and cut the MDF to the proper size to fit the picture frame. After it was cut I used some sandpaper to fine tune it so it was nice and snug. I used Kilz 2 latex primer and applied one coat to the board. 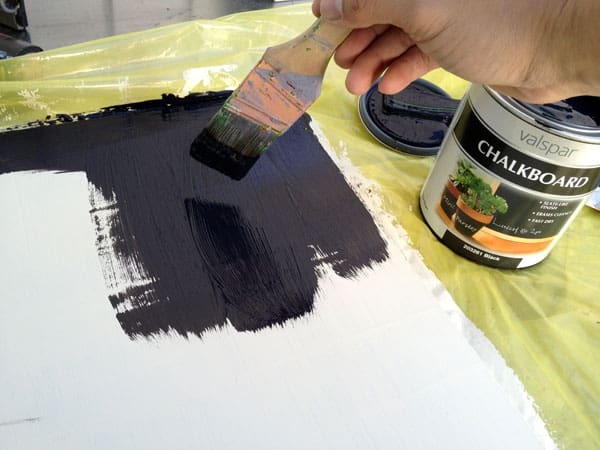 Valspar recommends this before painting with the chalkboard paint. I applied two coats of chalkboard paint using a small Purdy brush but a roller would also work. 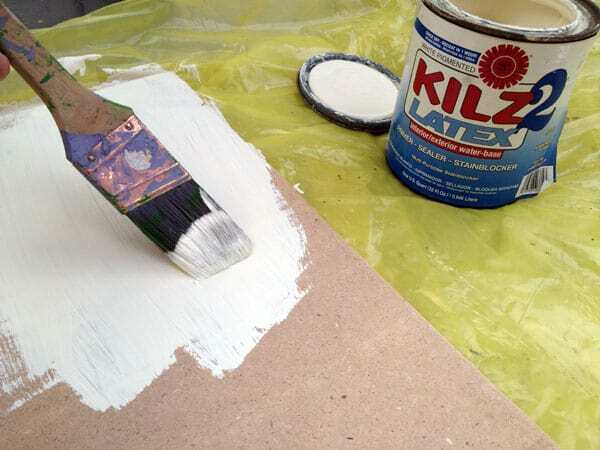 Apply the paint as evenly as possible and try to avoid ridges. While waiting for the paint to dry I used Gorilla Glue to bond the magnets to the wood frame. These magnets would keep the chalkboard affixed to the side of the dryer. 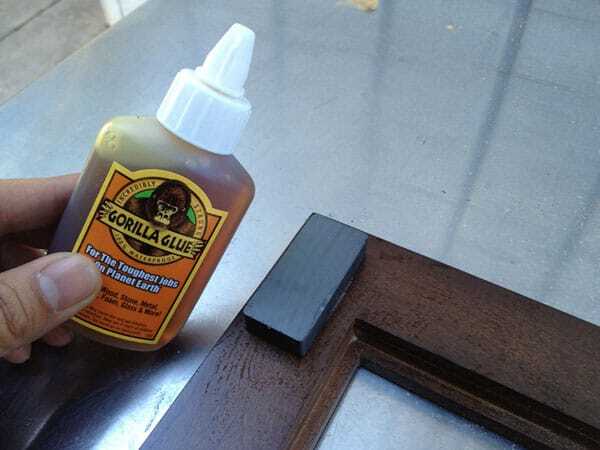 Use Gorilla Glue sparingly as it does expand and they recommend making sure there is a small bit of water on each side to help cure it. 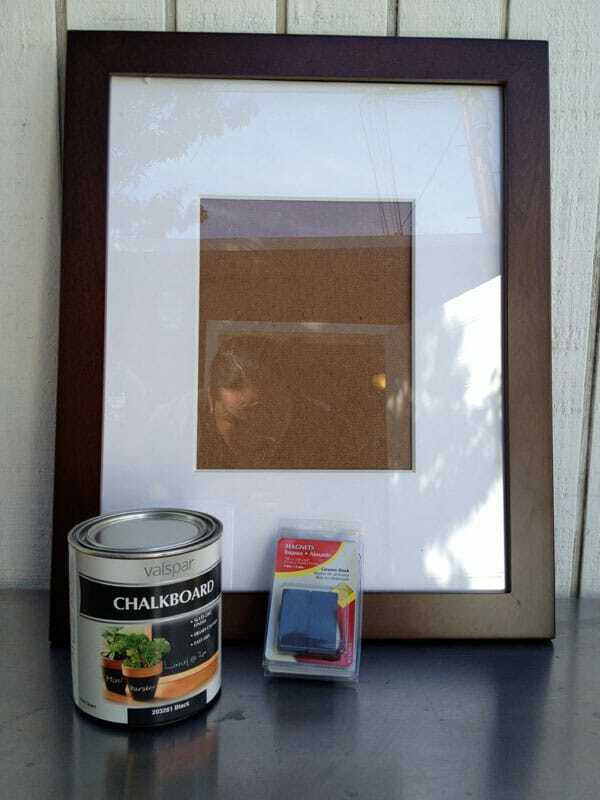 Take your dry chalkboard and insert it into the picture frame and if you can still put the other backing on, use that to keep the board in place. Otherwise you can simply tape the back of the board to the back of the frame.